I love this course. I really do. It’s been sooo good to me and Ben and we’ve always done well here. 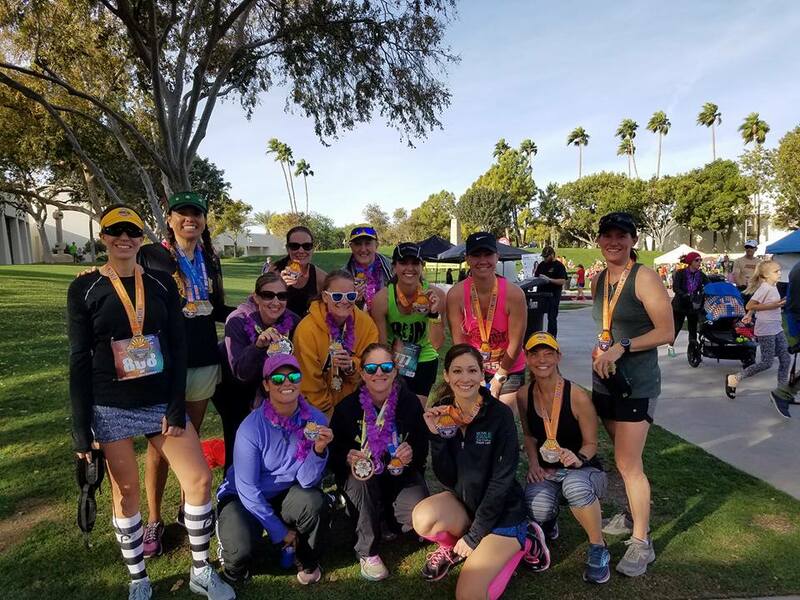 It’s a pretty much a *flat*, fast, loop in Scottsdale, AZ–nothing majorly scenic, but it’s pretty in Scottsdale and even though you’re passing through businesses and residential areas, the landscaping is well maintained and pretty to look at, lol! My goal was to sub 1:40. 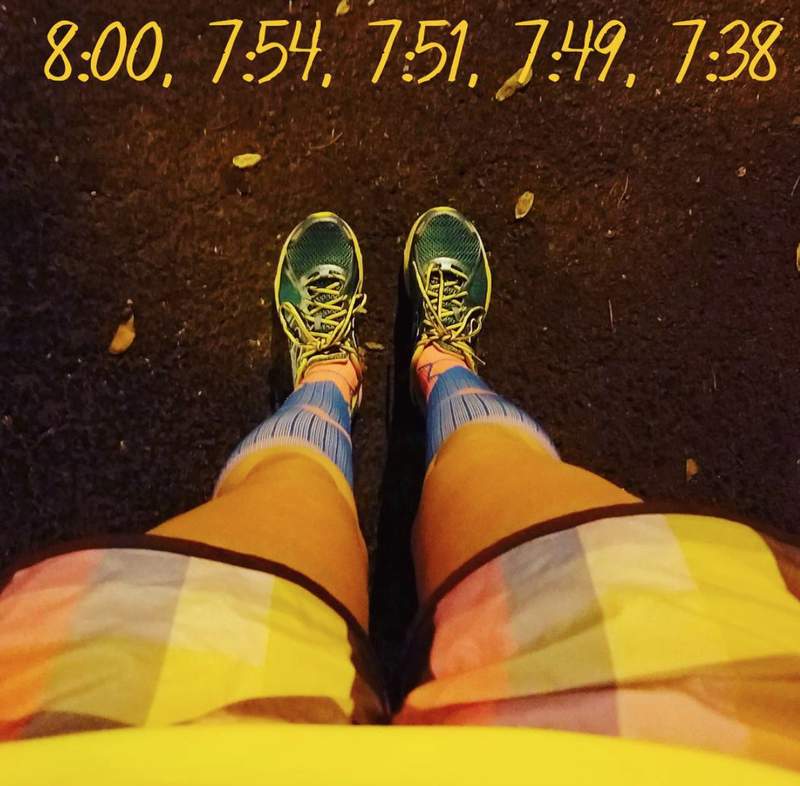 I hadn’t really been vocal about that goal (except here), but my marathon training has me doing tempo miles at that pace and I figured it was a good time to give it a go. I wore my Shalane F*CK YES! 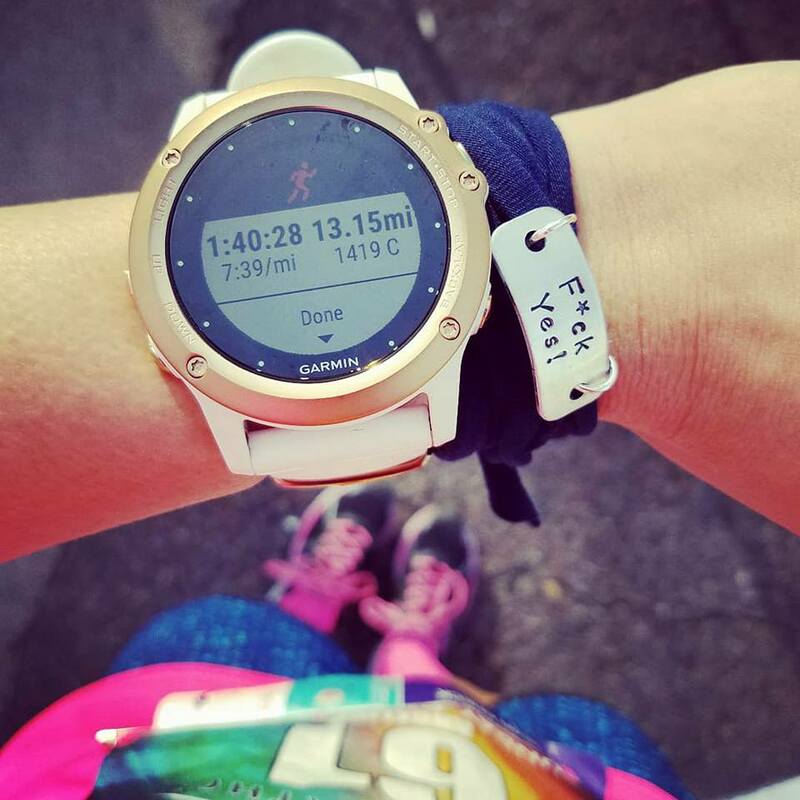 Momentum bracelet because I was on a mission for a sub 1:40 Eff Yes moment. When I crossed the finish line, it was more just like, F******CK. Lol!!! Turning the corner and looking at the clock tell me I didn’t make it. 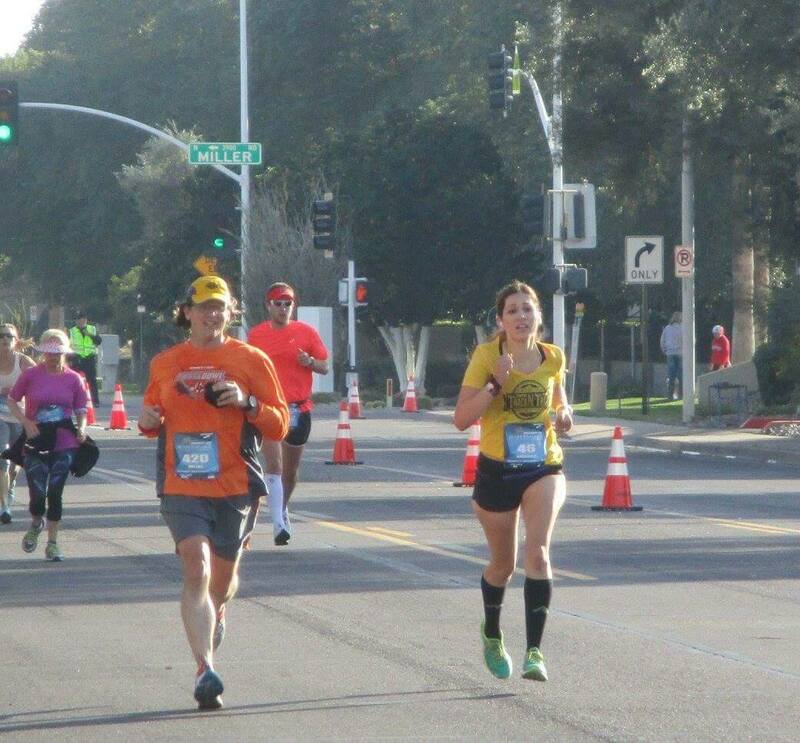 And because I’m honest, my immediate reaction crossing the finish line was disappointment– and I wanted to cry. 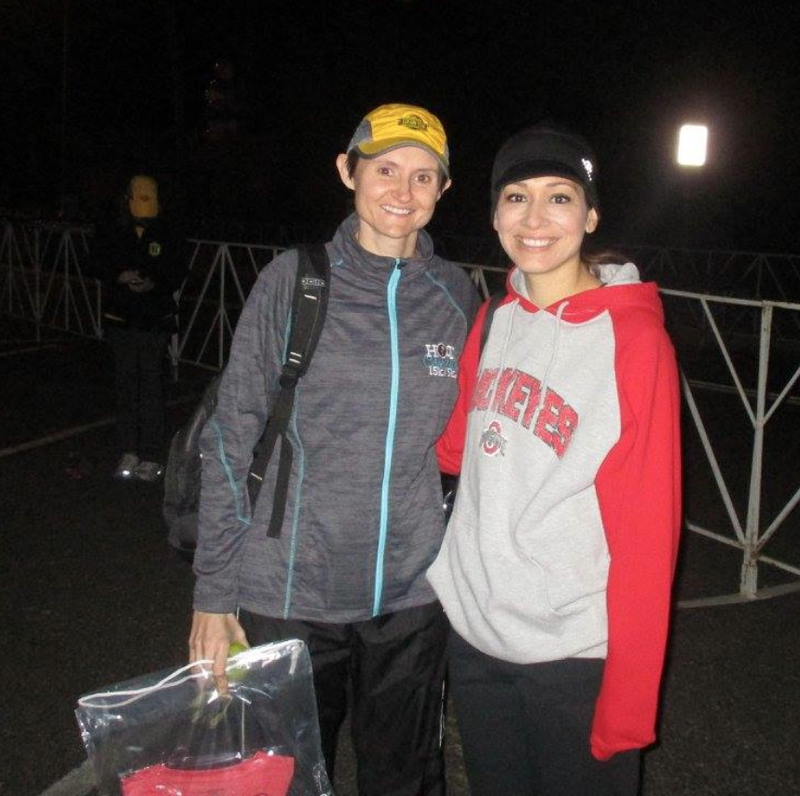 But because my team’s tent was at the finish line, I was immediately met with hugs and congrats and I couldn’t cry. I mean, I PR’d, how could I be upset? I didn’t want to cry and be a baby with everyone so happy for me. So, I put a smile on my face and rejoiced, even though deep down I was sad. My brother ran it, too! I know PRs are going to get harder now. So after I pity-partied a bit, I truly began to celebrate my accomplishment. I’m pretty damn happy. Sincerely. I ran fast, and I ran fast from the very start. I went in with a goal and I wasn’t afraid to fight for it from the get-go. From beginning to end, I raced. That is so freaking awesome to me. I’ve come such a long way in the mental aspect of running. 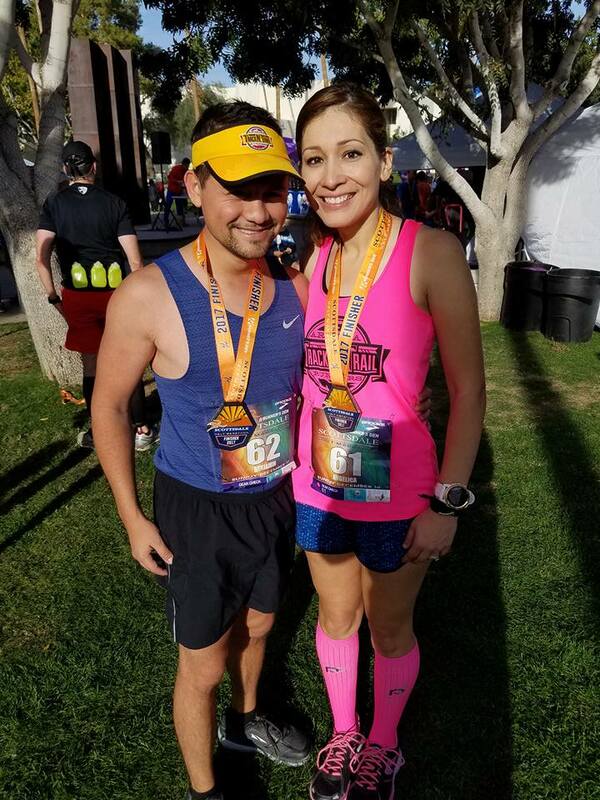 I remember telling my husband after I first ran a sub 1:50, that I didn’t think I could top that. That I would be perfectly okay without bettering that 1:48. Well, here I am, a 1:42 and a 1:40 later! I’m wanting to get faster. I’m not afraid of running fast anymore. I mean, I still sometimes get freaked out when I see myself running sub 8s, but I’m getting used to seeing them more often and getting used to making it my “new normal”. It’s insane. I never thought I would run the way I’m running now. 4th in Age Group, what?!? And to think that I want to run faster! That my race day mantra now is: Make It Hurt. It indeed was a F*CK YES! moment. Who was I kidding! 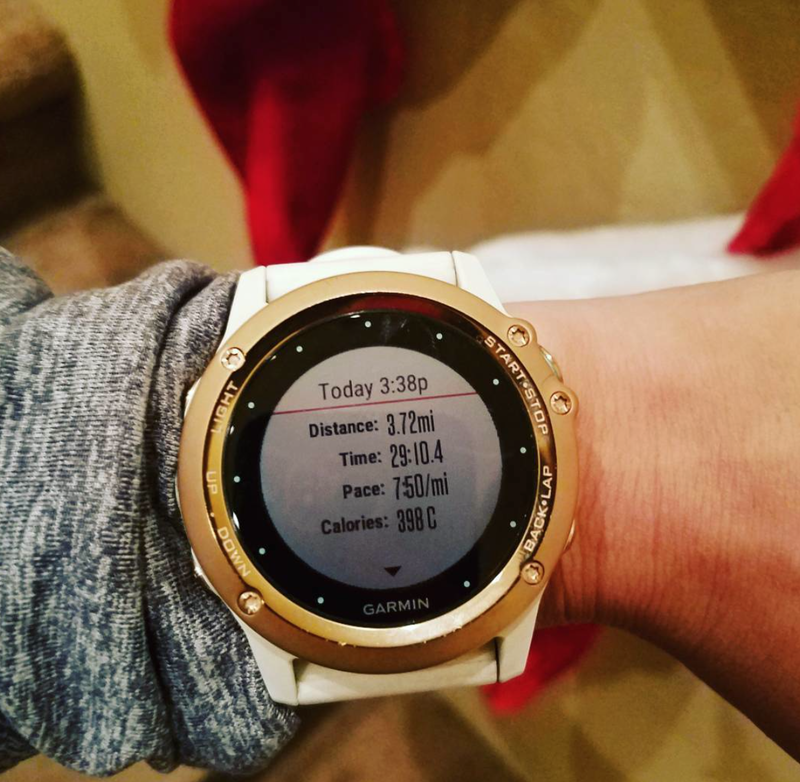 A 2+ minute PR!!! 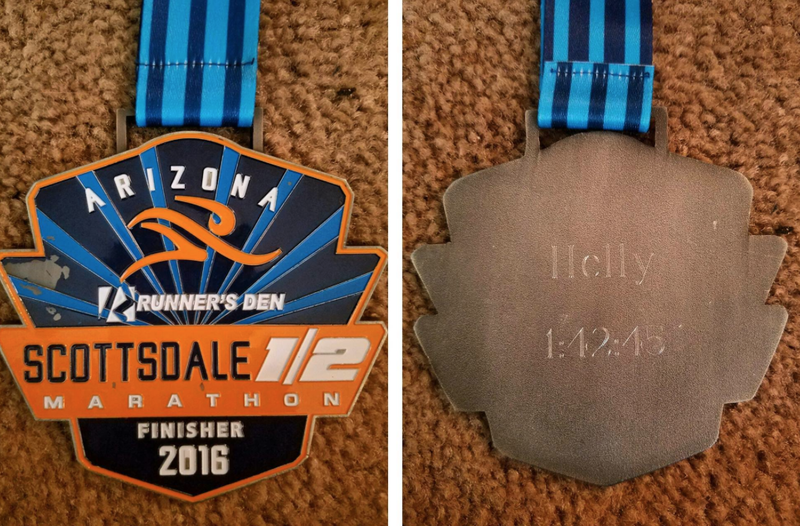 –Do you have a favorite local race? –When was your last F*ck Yes! moment? 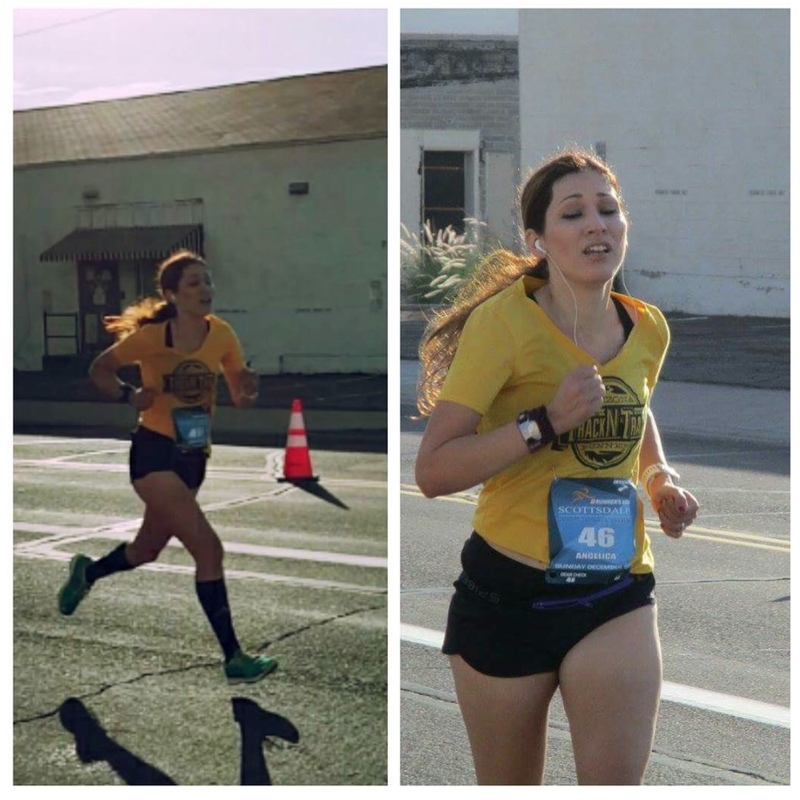 I gave it away in the post title–I GOT A PR!!! 1:42:45!!! I went into this race hoping for a 1:45 (or under), my previous PR being 1:48:04. I know it’s cliche, but I really did not expect to have such a big improvement. 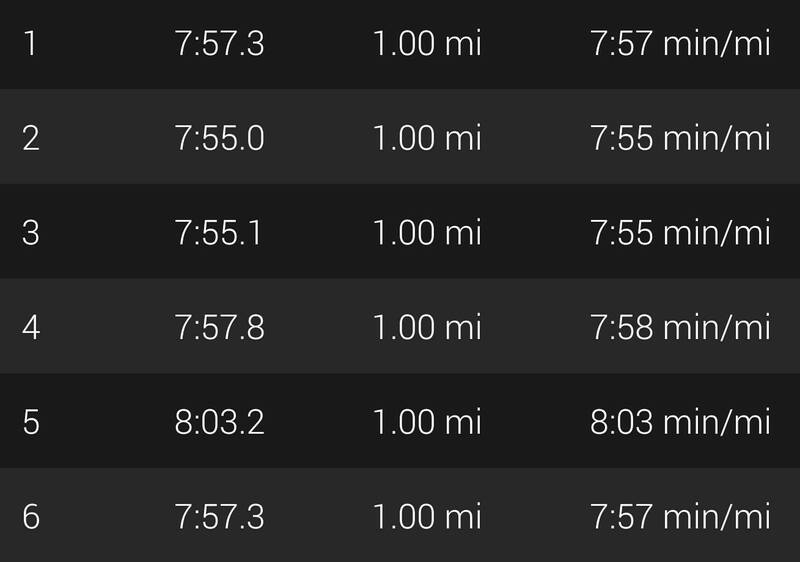 Leading up to this half, I had “prepared” by doing a few fast runs but I hadn’t done anything longer than 6 miles since NYC Marathon. 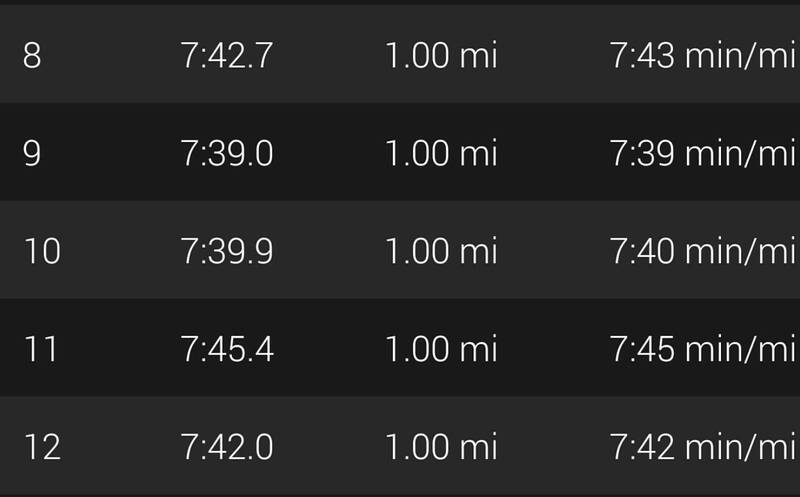 My lone six miler averaging 8:00 minutes was from my 10k PR in February, lol! 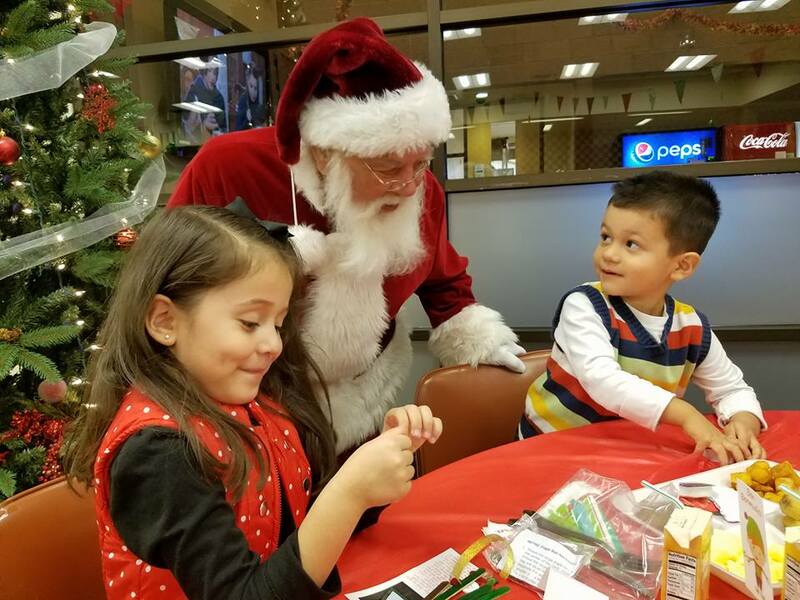 Saturday was a busy day of breakfast with Santa in the morning and a kid’s birthday party in the afternoon. Sunday race morning, I met up with my run club around 6:15 at the tent they set up–we were registered as a team (more on that later). One of my friends was also going for 1:45 and we chatted for a bit. I was there pretty early because I was taking advantage of race day packet pick-up. I love races that allow for that. Sometimes the packet-pick up places are inconvenient and picking up race day, for me, is definitely easier, especially if I can just drop off stuff in my car. 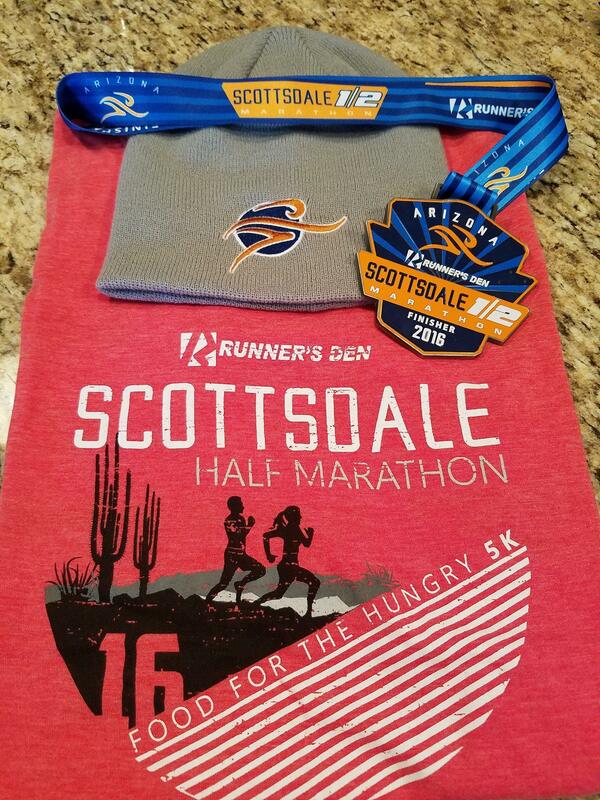 This race was a steal at $45 (early registration). Gender specific tee and beanie ftw! 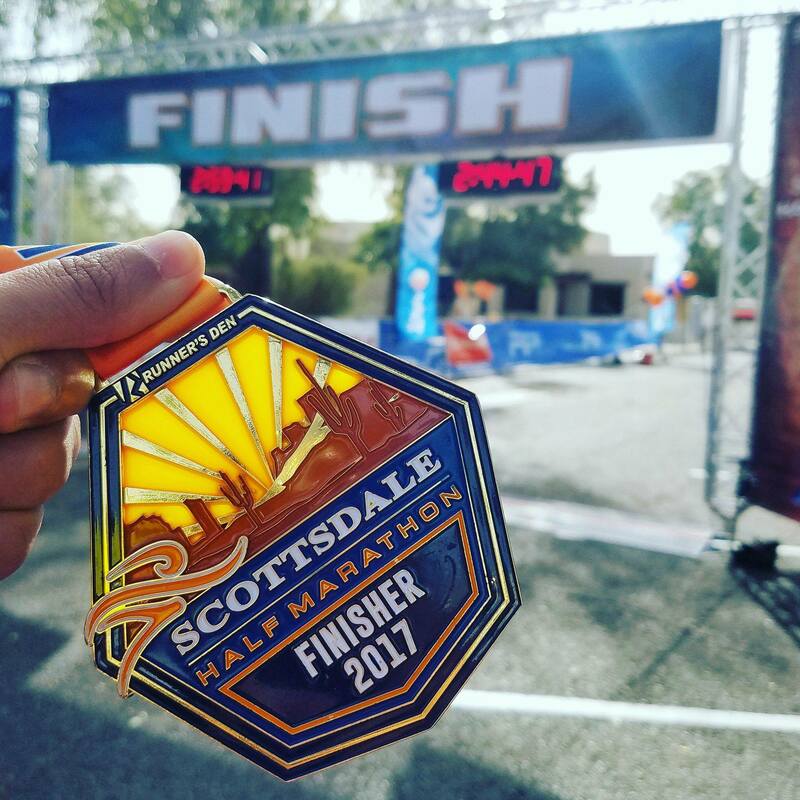 The Scottsdale Half Marathon & 5k is always in December and December here is absolutely beautiful, especially that day. Last year it was freezing (for us) and this year, we couldn’t have asked for more perfect weather. I’ll take a 50 degree morning any day and my shorts and short sleeve outfit was perfect. The course is relatively flat with a few park hills near the end. It’s an easy course in that there’s not many twists and turns. You’re pretty much going north, south, east, or west for long stretches of time. 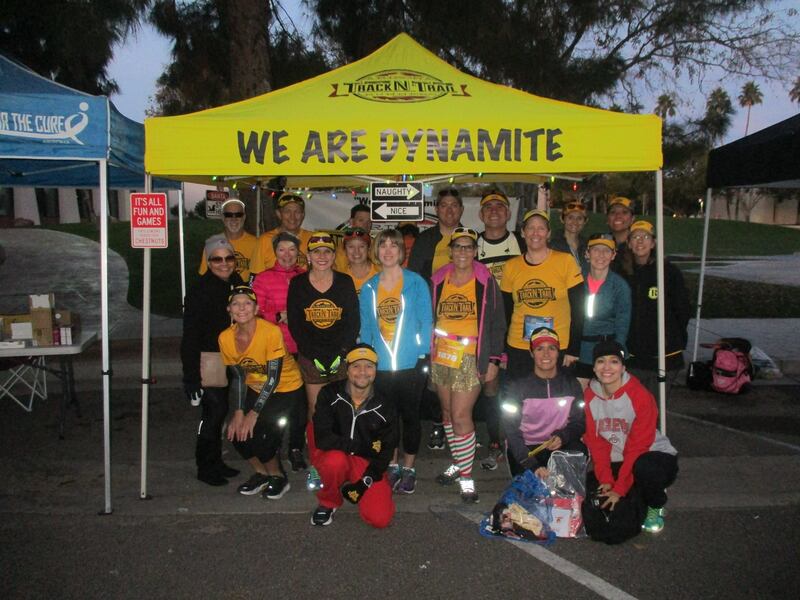 It’s a race known for its PR potential, so it attracts a lot of fast runners. 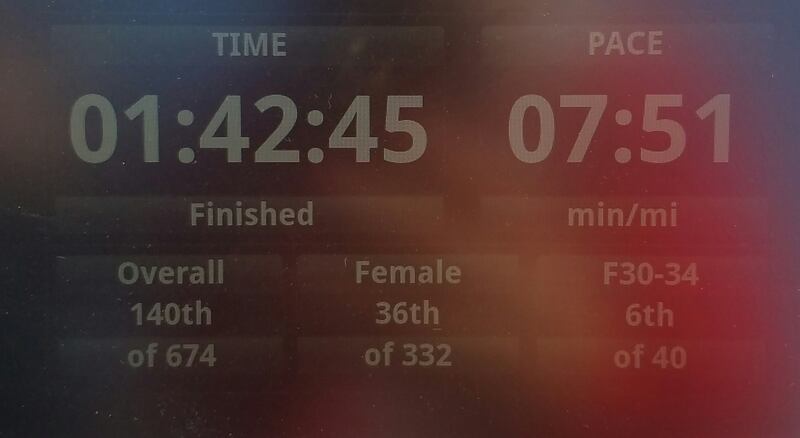 The winner of the half finished in 72 minutes. There was a nice group of us who started together including a buddy of mine, Dallas, who I’d done a lot of my NYC Marathon training with. 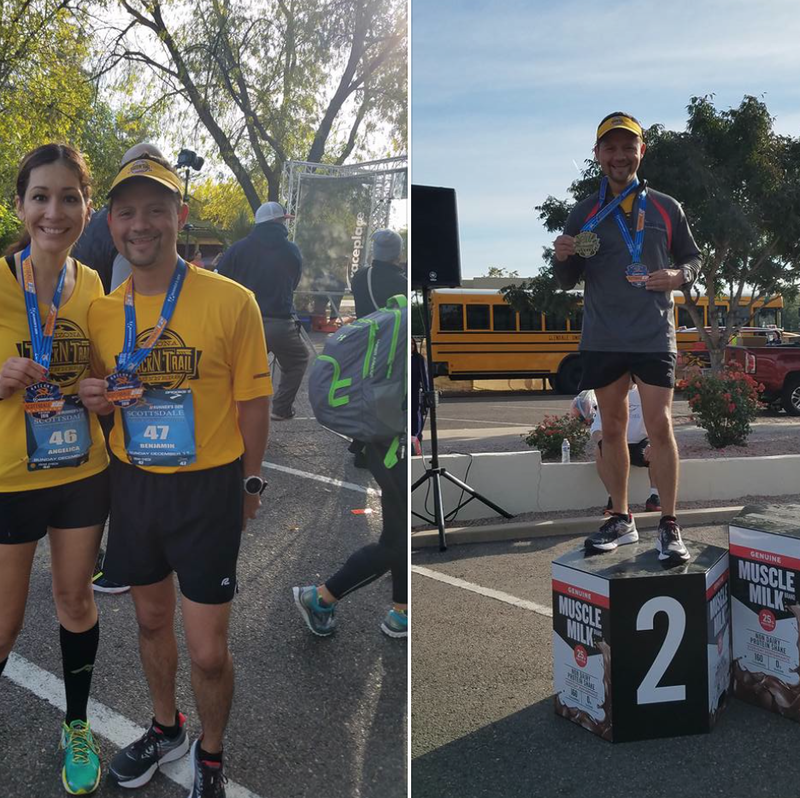 He’s a super fast runner but is currently marathon training himself so he wasn’t racing this particular race. My friend Ashley and I convinced him to be our pacer and he was more than happy to. I felt great and my breathing was good. My friends know I’m not a chatterbox when I run so my silence wasn’t because I was struggling, I was just in the zone. 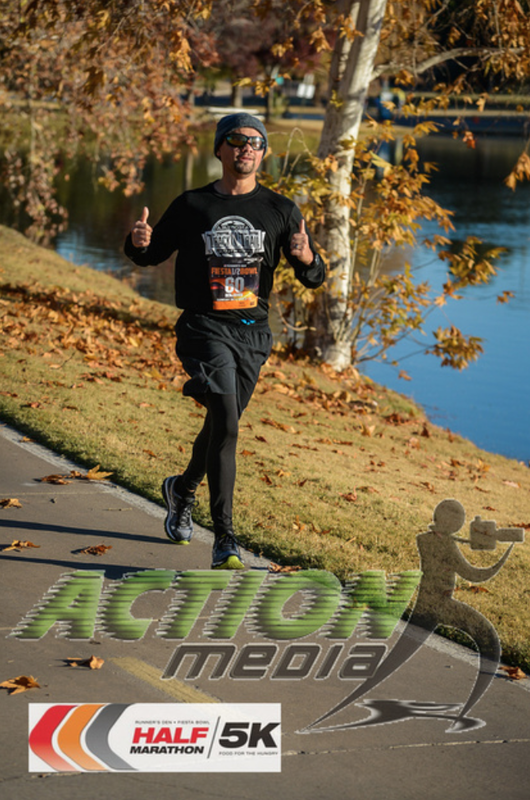 Feeling comfortable with the pace just below 8 minutes was awesome (mile 5 did irk me though, lol) and I hoped we could continue like that the rest of the way. 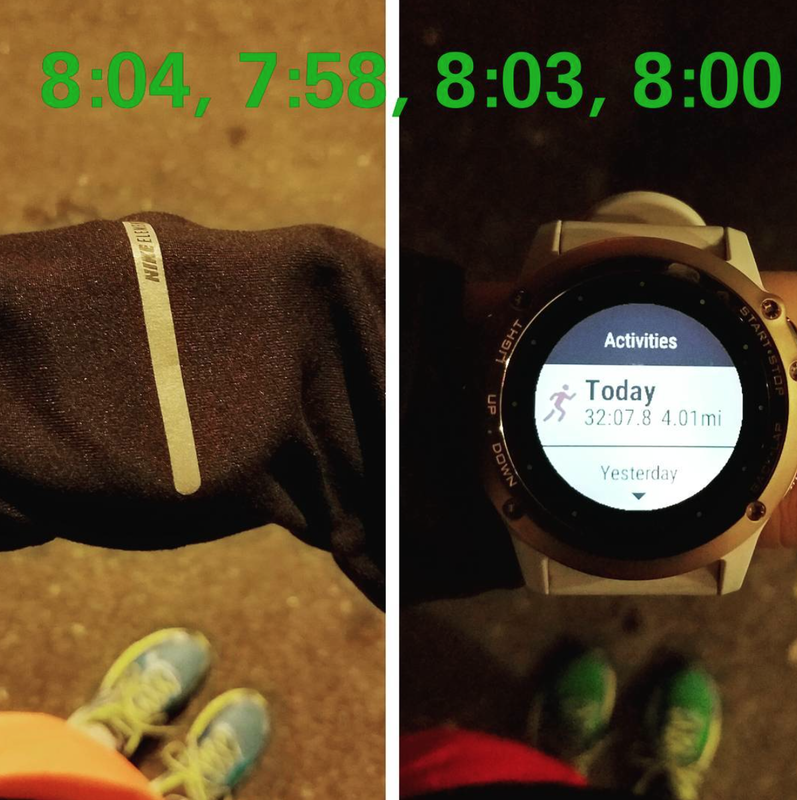 My plan was to go to mile 10 at that pace and then push it for the final 5k. I took my lone Gu at this mile and we took a turn that would lead us to a super long straight stretch going south. It was here that I asked myself how I was feeling and if I could go faster. 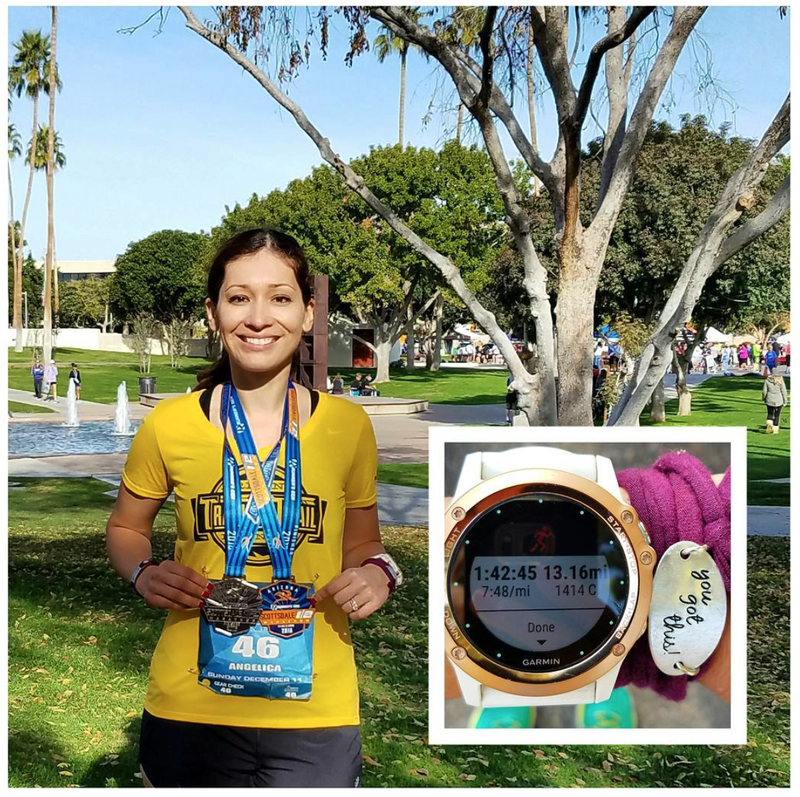 I knew that my plan was to wait until mile 10, but I also knew that this race wasn’t a “I will cry if I don’t PR” race and that I had nothing to lose by pushing myself a little harder than I was used to. 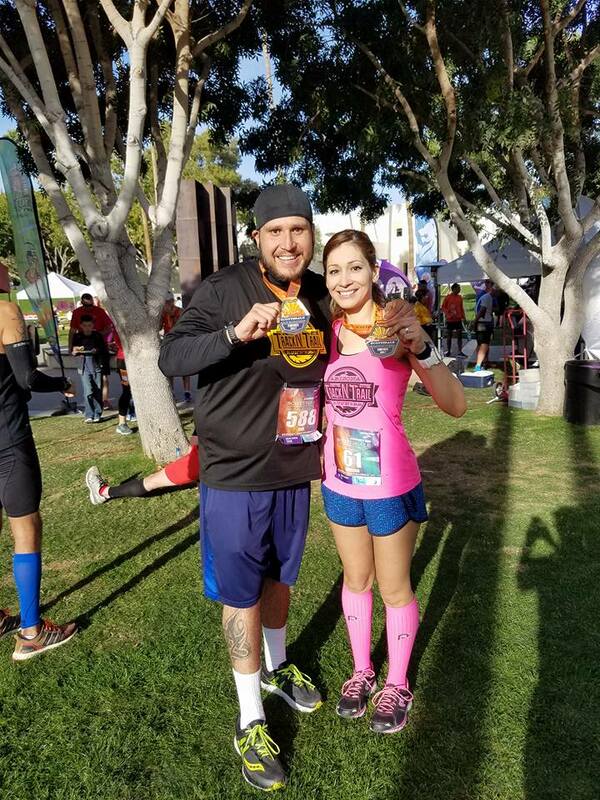 My husband always tells me that I’m faster than I think, and I thought about his words then and how much I wanted to show him that I could push hard. I didn’t say a word to Ashley, and Dallas could see I was increasing my pace so he followed suit staying ahead of me a bit to guide the way. Dallas was amazing, grabbing water for me at the stations and having it at hand so I wouldn’t lose my step. He always stayed just a bit in front so I was always at a distance of trying to “catch him” –which is how I prefer people to pace me. I was passing so many people and that really helped me feel strong and confident. At this point, I had plugged myself in and allowed myself to enter the pain cave. I knew that I was almost done and that anything I felt would just be temporary. 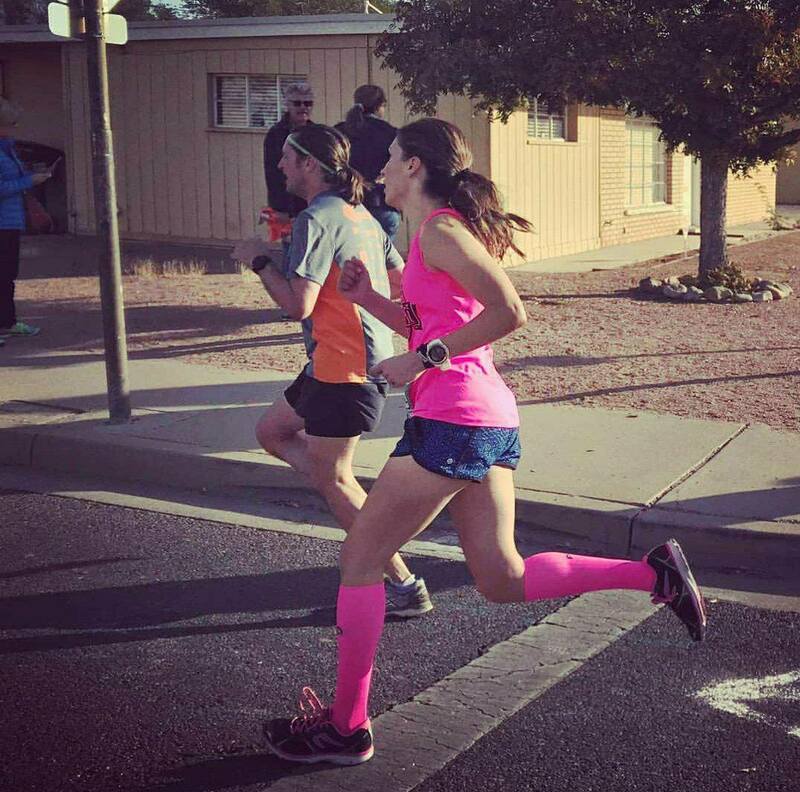 There were runners that looked fit and strong and I couldn’t believe that I was passing them. I used to psych myself out when I would see runners who looked a certain way and tell myself I couldn’t hang with them. “We’re almost done. You got this!” he said. I did really want to go as fast as I could. 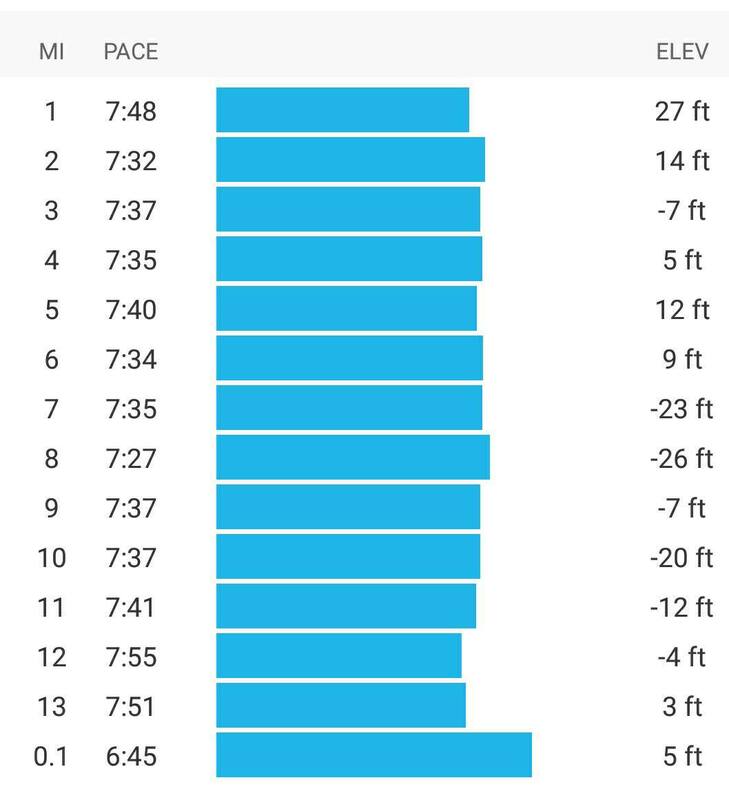 I wanted to see how fast I could run at that point and finish leaving nothing on the pavement. 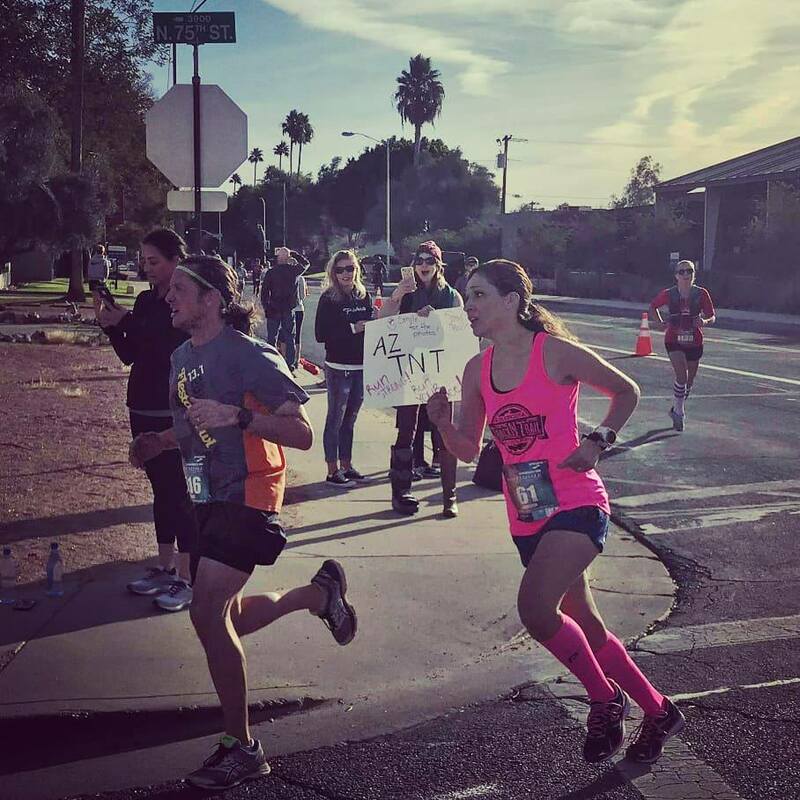 I tried my hardest to pick up my pace and when we reached a corner I saw the best thing I could’ve ever seen: my husband. 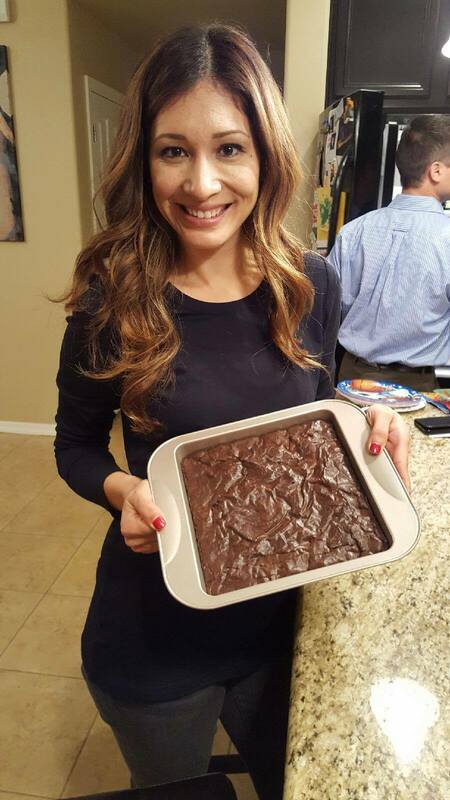 So I dug deep and ran….fast. I wanted so badly to stay in the 1:42s that I gave zero fucks and ran like my life depended on it. And I finished absolutely elated!!! Absolutely, incredibly proud that I had decided to push myself, to allow myself to see what I could do if I just went for it. It was such an amazing day. Honestly, I never, never thought I could run the way I’m running. That is the honest truth. I don’t really know how to explain beyond what I wrote here, what has happened or why I’m all of a sudden running paces I’ve never seen. Clearly, something in me has changed. I’m still processing it and figuring out what it means, but I’m definitely hoping that this newfound confidence doesn’t go away. I hope that I always give myself a shot, that I believe in myself enough to try hard things and that even if I “fail,” I continue to learn from each experience.